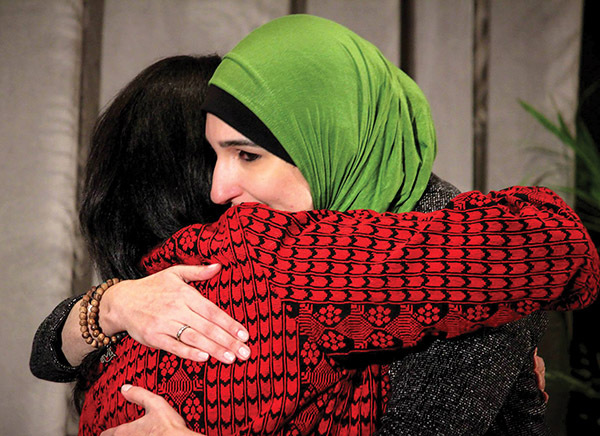 Linda Sarsour, right, embraces Palestinian terrorist Rasmea Odeh.  It was amazingly useful for Tablet magazine, in a recent report, to confirm that three of the four leaders of the Women’s March are proud anti-Semites – even at their first meeting, they berated a Jewish organizer for what they alleged was her unresolved “white supremacy” and ultimately pushed her out. Many of us didn’t need this confirmation. The fact that Linda Sarsour was involved in the group was enough. And it didn’t take long before Sarsour was celebrating Palestinian terrorist Rasmea Odeh, who was convicted and held in an Israeli prison for 10 years for her role in a 1969 Jerusalem supermarket bombing that killed two Hebrew University students. And then we discovered that the organizers had a thing for Nation of Islam leader Louis Farrakhan. Tablet’s extensive reporting uncovered the primary motivations behind the Women’s March as created by its top national organizers: To be a front for the most insidious identity politics, where Farrakhan and terrorists are lionized, and Jews and Israel are ideologically lynched. As such, its organization and signature annual event – now scheduled for its third year on Jan. 19 in numerous cities across the country – can be called only one thing: the March of Hate. Have Jewish apologists for the Women’s March not considered why Jews are being asked to go along with people who hate us? To overlook the march organizers’ “flaws”? Can you imagine any other minority in 2019 being asked to do the same? How are Jews supposed to be a light unto nations if we are on our knees groveling behind people who continue to spit in our faces? That is not the kind of Jew I was raised to be, and it is certainly not the kind of Jew my 9-year-old son is being raised to be. I proudly teach him the history of civil rights – and the enormous role Jews have played in establishing and protecting them. But we have never done so at the expense of our self-respect, and no amount of “intersectional” gobbledygook should change that. Identity politics and the March of Hate swept into Congress such triumphs as Rep. Rashida Tlaib (D-Mich.), who already has replaced Israel with “Palestine” on her map, accused Jews of dual loyalty and can be seen in a photo with a Hezbollah supporter; Rep. Ilhan Omar (D-Minn.), another supporter of the BDS movement whose known links to the Muslim Brotherhood are growing by the hour; and my personal favorite, Rep. Alexandria Ocasio-Cortez (D-N.Y.), whose lack of qualifications make her very existence in Congress an affront to feminism. Jews are being gaslighted – psychologically manipulated to the point of questioning our own sanity and reality – by Farrakhan, Sarsour, Tamika Mallory and the leftist Jews who reflexively defend them. I suppose the only good thing that one can say about actual white supremacists is that they don’t lie about their true intentions. Karen Lehrman Bloch writes from New York. Your piece is dead on! Karen Lehrman Bloch was right on the money in her piece on anti-Semitism in the women’s movement until she jumped on the right wing bandwagon of demonizing Alexandia Ocasio-Cortez. while decrying anti-semitism, bloch has joined the racist obsession with oscasio-cortez by the right wing media. yes, it is racist because they have chosen a woman of color as their new symbol to vilify liberals.